Drinking tea is a favorite pastime and part of cultural ceremonies all across the world. From ancient tribes in South America to the tea masters of China and the connoisseurs of Britain, tea has been an integral part of life for centuries. This delicious beverage varies widely in taste and aroma, ensuring a favorite for just about everyone. To enjoy the perfect cup of tea, you need to know how to brew it properly. From traditional to Western brewing methods, there are a host of things to take into consideration when preparing your tea. Here, we’ll show you the basic guidelines and tools you need to brew anything from standard black tea to spicy and herbal tisanes. Most of the time, you can brew a delicious cuppa at home using whatever you have on hand. Generally, a tea cup, kettle for boiling water, tea and a spoon are enough to get the job done. However, for some teas you'll need a few more tools. If you're using loose leaf tea for brewing, you need a tea strainer or fine mesh cloth to keep the tea leaves from entering your tea mug. Loose tea is an excellent choice and almost always the preferred method of tea masters. Loose leaves have better taste and contain more antioxidants — read: health benefits — than standard tea bags you can find at the grocery store. You can still use tea bags if you prefer, just look for larger sachets that allow the tea leaves to expand so they can release flavor and healthy compounds fully. Alternatively, you can use a tea ball or infuser when brewing. A tea ball is a hollow ball into which you place your tea leaves before pouring hot water on top for steeping. Tea balls and infusers are typically made of metal, most commonly stainless steel. Make sure to leave space in your infuser or tea ball so that the leaves can expand and release flavors. If you pack it too full, your tea will be watery and have little flavor. There are a variety of tea vessels you can use to consume your favorite cuppa. Traditional, dainty tea cups are a classic favorite, but many varieties of tea require special containers for brewing including gaiwans, gourds and yixing mugs. Tea mugs — also known as nordic mugs or infuser mugs — allow you to steep loose leaf tea using one tool that incorporates an infuser, lid and mug. Tea mugs feature a tall, deep mug that is accompanied by a specially designed metal infuser that sits on the rim of the mug. Tea mugs also typically include a saucer that doubles as a lid to further infuse flavors during brewing..
For most tea types, you can use a standard tea cup or coffee mug. Other teas such as yerba mate and Chinese teas require special tea vessels and tea accessories if you want to brew the traditional way. For yerba mate, you'll need a wooden or clay gourd and a metal or bamboo straw called a bombilla for traditional brewing. For high quality Chinese teas such as oolong tea, you can use a clay yixing mug or a porcelain gaiwan. In traditional tea brewing, it's recommended to use a designated vessel for each type of tea you drink. This is largely because materials such as clay absorb the flavors of tea, resulting in a rich tea experience. Mixing teas in the same mug or cup can then create contrasting and bitter flavors so it's best to use traditional mugs for only one tea type. For the best results, use the highest quality leaves possible. In general, this means looking for leaves that are unbroken and come from a reputable source. Established tea producers can tell you exactly where the leaves are harvested and can explain the drying and oxidation process—ensuring the highest possible quality. The freshness of tea leaves can also impact certain blends. You can find a host of high quality teas from true teas to tisanes right in our shop. You also want to use the right amount of tea leaves. Most teas require a serving size of 1 teaspoon of tea leaves for every 6- to 8-ounce cup. Some more delicate brews can be made stronger by steeping longer or adding more leaves. Don't be afraid to play around until you find the perfect combination. Fresh water is integral to creating the perfect cup of tea. Using low-quality water such as tap water or distilled water won't develop flavors properly and you'll end up with bland or bitter brews. Start things off right by using pure, spring or filtered water for the best flavor when brewing your tea. Heating water to the proper temperature is also essential to creating a delicious cup of tea whether it's a true tea or an herbal tea. As with many true teas, some tea black tea types require different water temperatures depending on their composition. Delicate black teas such as Darjeeling and Keemum require lower temperatures and should be brewed using water between 180 and 190 F. In general, most black teas should be brewed using boiling water between 200 F and 212 F.
Pu-erh tea is a fermented tea hailing from China and recognized as a healthy elixir used in herbalism across the globe. In the traditional method, pu-erh tea leaves are rinsed once or twice before the actually brewing and steeping process begins. Once you are ready to brew, the sweet spot for pu-erh tea water temperature is 205 F.
As a rule of thumb, more delicate teas such as green tea should be heated just short of boiling to avoid bitter or astringent flavors. For the best-tasting green tea shoot for 150 F to 180 F when brewing. The temperature range will depend on what type of green tea you are brewing, so make sure to follow any instructions on your specific blend. For example, Japanese green teas require lower brewing temperatures, with the exception of scented and shaped types such as jasmine tea, which can tolerate higher temperatures. White tea is another delicate tea that should be brewed well below the standard 212 F. For white tea, heat water to 160 F. For the best results, use a cooking thermometer to check temperatures as the water heats up or opt for a temperature-controlled tea kettle. Alternatively, you can use a pot on the stovetop and remove once tiny bubbles start forming at the bottom of the pot. As mentioned, brewing oolong tea can be done the traditional way known as gong fu using a yixing or gaiwan or the Western way using a standard tea cup or mug. Whichever method you decide to use, heat the water to 180 or 200 F using a thermometer. If you do not have a thermometer, you can bring water to a rolling boil, remove from heat and cool for 1 minute before pouring the heated water into your cup. 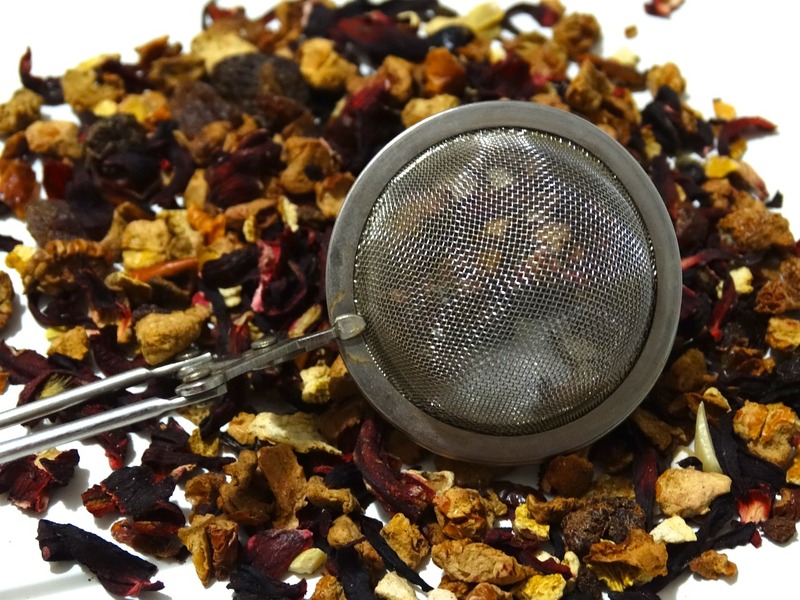 Herbal teas are made using the leaves, stems and petals of a variety of different plants. Ranging from floral blends such as hibiscus and chamomile tea to more unique spice and mushroom options such as chaga, chai, and ginger tea, the possibilities are endless. That also means that brewing temperatures are varied. As rule of thumb, water temperatures of 212 F should work just fine, but be careful to read instructions as some teas such as yerba mate should not be brewed so hot in order to avoid negative side effects. 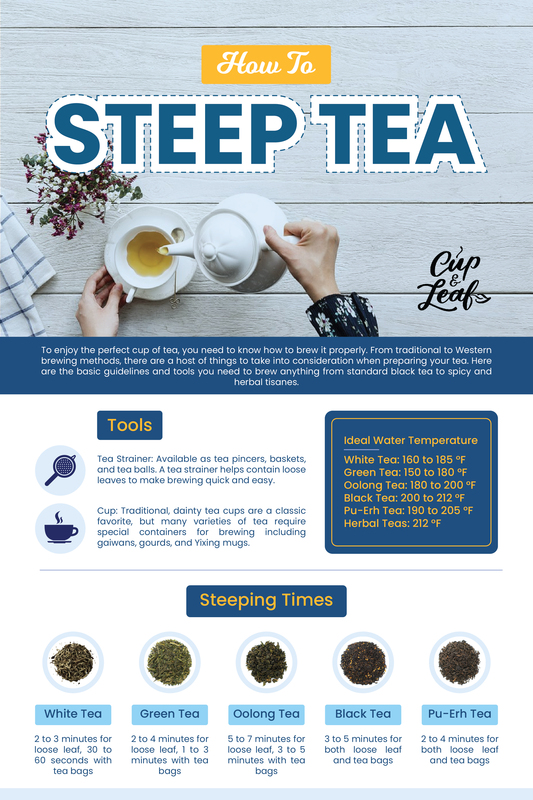 Just as water temperatures vary greatly with different tea types, so do steeping times. The longer teas steep, the more likely they are to develop bitter flavors. 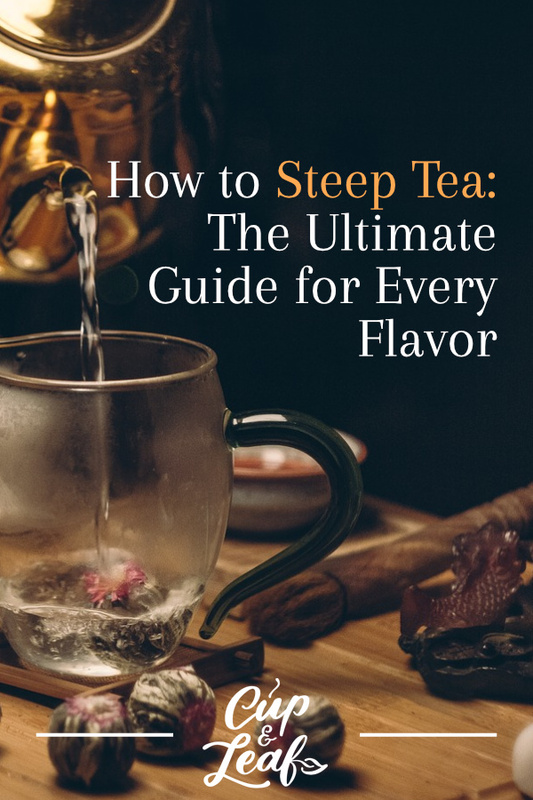 As a rule of thumb, we recommend steeping for 1 to 5 minutes, making sure to taste every 30 seconds to achieve the best flavor for your tastes. While these are general rules that work for most tea types, brewing tea comes down to individual taste. Don’t be afraid to experiment with brewing temperatures and steeping times to achieve your desired flavor. Each different tea type offers unique flavor profiles that can invigorate and inspire your senses. Tea isn't a beverage that's meant to be guzzled down so you can head out the door. The tea drinking process should be one of enjoyment and relaxation. You'll be able to notice the complex flavors and aromas better when you brew tea properly. With these tips and tools, you're well on your way to enjoying the perfect cup.